Households, workers, the unemployed, and small and large businesses in the Highlands and Islands are being called on by local MSP Jamie Halcro Johnston to share their views as the Scottish Parliament's Economy, Jobs and Fair Work Committee launches its inquiry into the performance of Scotland's economy since 2007. In a year marking a range of anniversaries, including a decade since the financial crash, 20 years since the devolution vote; and the tenth anniversary of SNP Government, the Committee will scrutinise Scotland's economy, looking at issues such as the main drivers of growth and challenges to future growth; as well as average disposable income, and average weekly pay in Scotland. Member of the Economy, Jobs and Fair Work Committee, and MSP for Highlands and Islands region, Jamie Halcro Johnston said:"When the Committee looks at how the Scottish economy is performing for Scotland we will hear from expert economists and organisations. But it is vital we also hear the real-life experience of households, workers, small and large businesses and the unemployed living in the Highlands and Islands and across Scotland. "The local voices of people who are paying their taxes, doing their best to get by and perhaps feeling they could be doing better are still rarely heard at the Scottish Parliament. This needs to change if the committee is truly to get to grips with the challenges and opportunities facing the Scottish economy over the next ten years. "The Scottish Parliament is your Parliament, and if you would like to share your experience of how Scotland’s economy impacts on you, the Committee would welcome your views." The Economy, Jobs and Fair Work Committee is scrutinising Scotland’s economic performance since 2007, with a focus on GDP growth; productivity, inequality and labour market issues; and ways to foster inclusive growth. 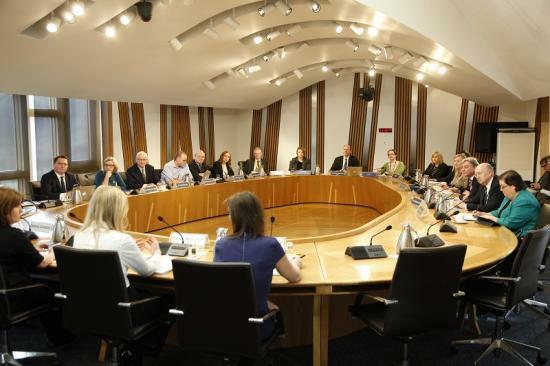 It will hear views and opinions from a range of organisations and individuals at formal committee meetings at the Scottish Parliament, and will meet with individuals and organisations across Scotland to hear their views first-hand. The Committee’s report is set to be published in spring 2018. The Committee inquiry: This month marks ten years since the beginning of the financial crash and the subsequent ‘Great Recession’. It is also ten years since the Scottish Government introduced its National Performance Framework (NPF) which measures performance and progress towards the Scottish Government’s economic priorities. Through the prism of the NPF, the Scottish Parliament’s Economy, Jobs and Fair Work Committee will be examining Scotland’s economic performance since 2007, as well as exploring future challenges and opportunities for Scotland’s businesses and households. The Committee invites all interested individuals and organisations to submit written views on its inquiry. "To examine Scotland’s economic performance since 2007 and understand the reasons for recent trends and divergences in performance between Scotland and the UK as a whole, other regions/nations in the UK, and other countries in the EU. The inquiry will also identify challenges and opportunities facing the Scottish economy over the next ten years and understand what action is required to make Scotland’s economy more inclusive, innovative and international". · Scotland’s key sectors: drivers of growth and productivity? · Internationalisation - Scotland’s exports; Inward investment. · Learning from abroad – inclusive growth in other countries. Inclusive growth – bringing it all together? To assist the Committee in its work, we are looking for responses to the questions below. Please feel free to answer all questions or focus your answer on areas of particular interest. The Committee clerks are happy to discuss how to approach a submission: contact details are below. · What have been the main drivers of growth in the Scottish economy since 2007? · How have Scotland’s key sectors performed over the past decade? · How does Scotland growth rate compares with the UK as a whole, other regions/nations of the UK, and other countries in the EU? · Where will we see future growth in our economy – exports, sectors, regions and innovations? · What is Scotland’s industrial composition and what are the barriers to diversification and growth? · What role has Government support for innovation played in growing Scotland’s economy and boosting productivity? · What are the main drivers of income and wealth inequality in Scotland? · How does income and wealth inequality in Scotland compare to other countries/regions and what are the policy responses to income and wealth inequality in Scotland and abroad? · What have the trends in debt, wages and household income been over the past decade? · What are the reasons for regional differences in labour market participation? · How has the labour market in Scotland changed over the past decade? · What are the different models of business ownership in Scotland and what is their importance to Scotland’s economy? Before making a submission, please read our Policy on Treatment of Written Evidence by Subject and Mandatory Committees. The deadline for written submissions is 13 November 2017. Ideally, responses should be no more than four sides of A4 in length. We welcome written evidence in any language. You can call the Committee clerks on 0131 348 5214. The Economy, Jobs and Fair Work Committee scrutinises a broad range of topics within the remit of the Cabinet Secretary for Economy, Jobs and Fair Work including energy policy, the impact of the UK vote to leave the EU, fair work and matters relating to the Scottish economy. It comes to a view after taking evidence from, and engaging with, a wide range of stakeholders ‘on the frontline’ and applies authoritative, expert, effective and influential scrutiny to policy.